Growing up in South Carolina, I got excited to see my grandma come home with a bushel of peaches. I knew that stewed peaches and biscuits and peach cobbler were in my immediate future. Peach season (late June- August here in GA ) is still one of my favorite things about summer. For a few weeks in the middle of the summer I indulge in the succulent August Prince variety of peaches from Pearson Farms. These are some of the most flavorful peaches I’ve ever had. They never disappoint. 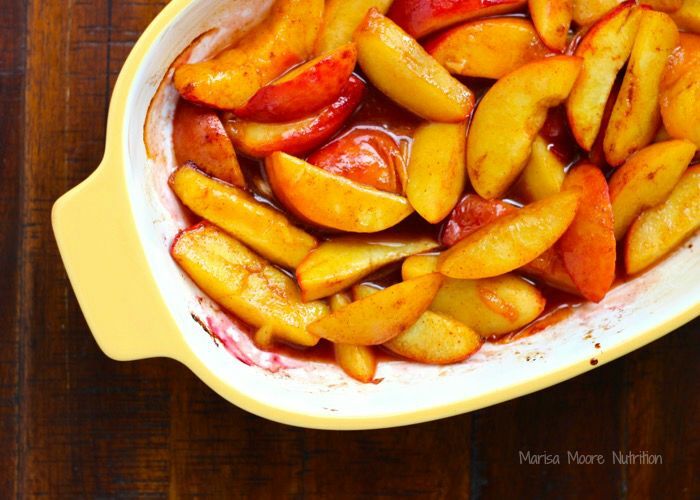 I love how peaches work well in both sweet and savory dishes. My go-to peach prep this summer has been my Vanilla Roasted Peaches (sponsored post). Which can be eaten as is, with yogurt or ice cream or as a pie or cobbler filling. 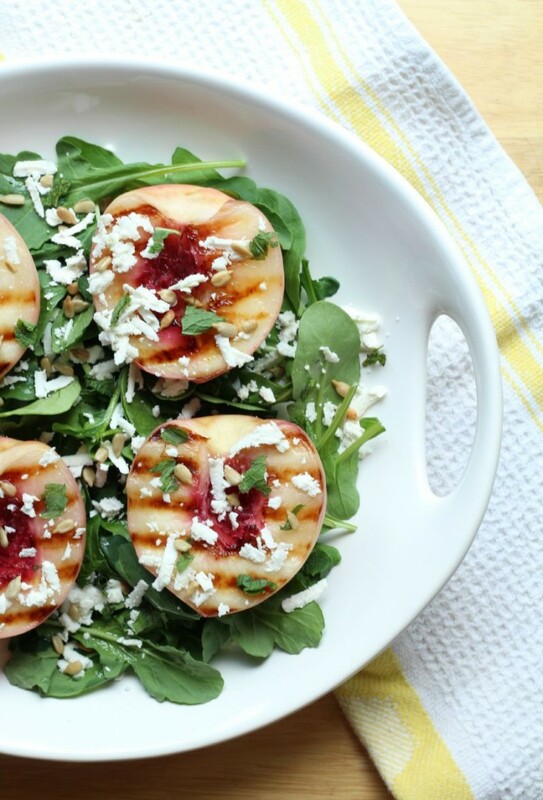 Peaches are the perfect pair for salad greens. Alanna at Eats Real Food nails it with her Grilled White Peach Salad. 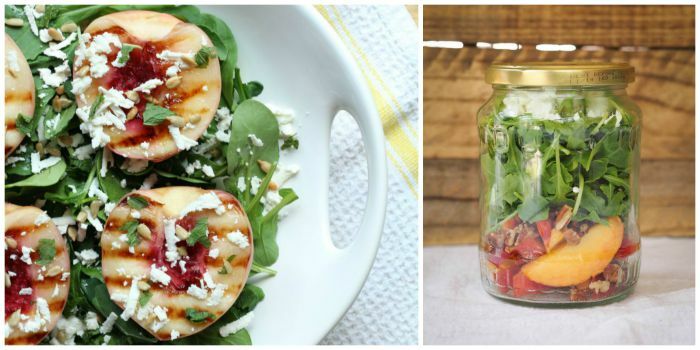 And if you need further convincing that peaches work with salad greens, try out this Mason Jar Peach & Arugula Salad from Rachael at Avocado a Day Nutrition for an easy summer lunch or this Salmon Peach Quinoa for dinner from Jessica of Nutritioulicious! 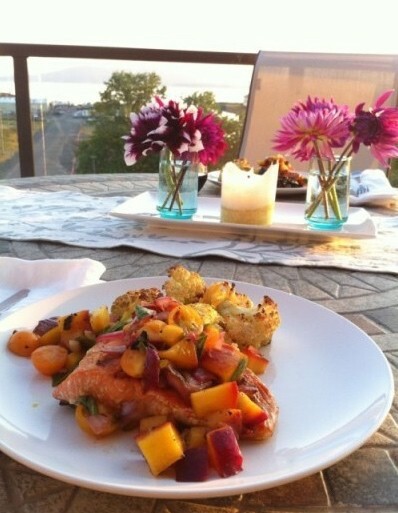 The Nourish RDs’ Seared Salmon with Grilled Peach Salsa makes for a perfectly sweet and savory dinner. Because peaches are so sweet, dessert is a no brainer. 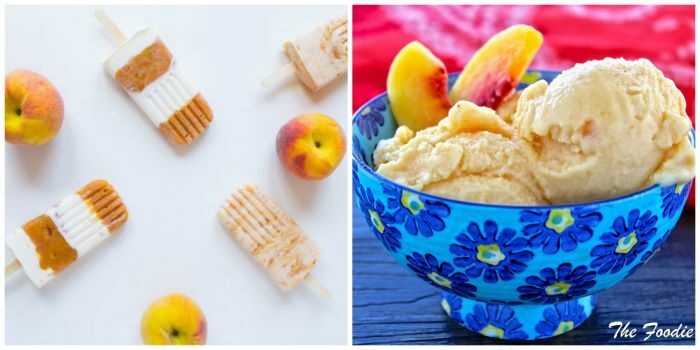 Cool off with The Foodie Dietitian’s Roasted Peaches & Cream Pops or The Foodie Physician’s Super Fast Peach Frozen Yogurt from The Foodie Physician! 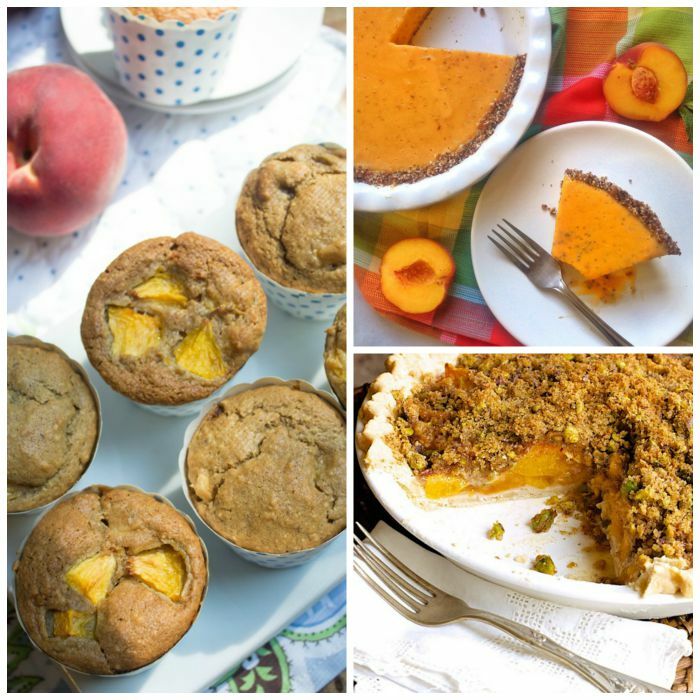 Have a peachy breakfast with Anne’s Gluten-Free Peach Muffins from Fannetastic Food (pictured below). Boozy Broiled Peaches from yours truly! 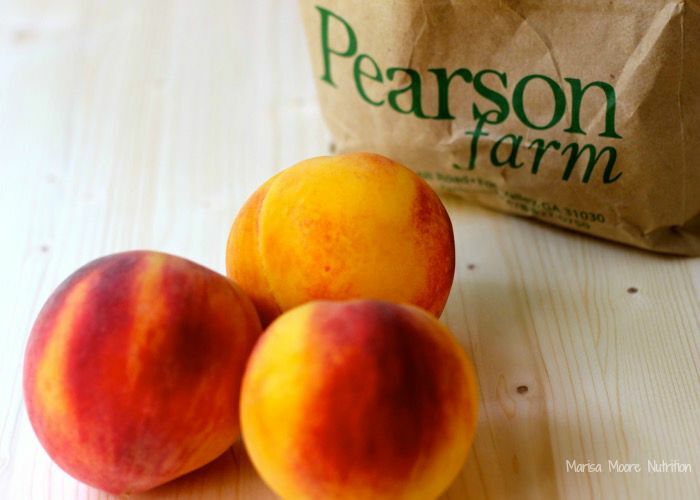 How are you enjoying peaches this summer?